Thanks for the responses. I'm wondering who is finding multiple meanings. What are they? Remember to click on "comments" and then choose "anonymous." Is it contradictory for a Christian to be saved by the bell? I hardly think so. 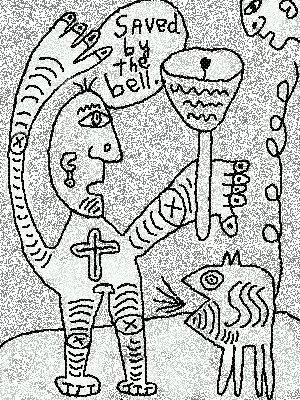 "Church bells" exist in cathedrals all over the world.